Rotherham United manager Steve Evans has allowed two of his players to join up with Oxford United. Defenders Joe Skarz and Richard Brindley have both joined the League Two side this week as their head coach Michael Appleton looks to drag his side away from the relegation battle. Skarz left the New York Stadium by mutual consent at the back end of last week and signed for Oxford in time to be presented to their fans ahead of the game against Exeter City on Saturday. Skarz was a member of the Bury side who won promotion from League Two in 2011 and was named in the PFA Team of the Year as well as the Shakers’ young player of the season. 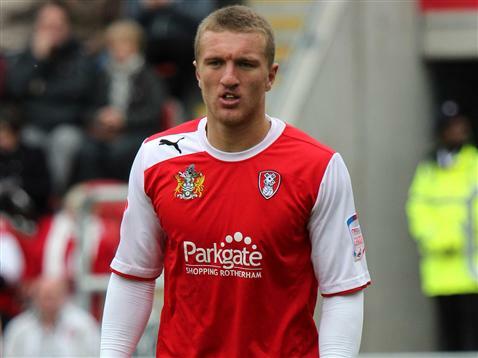 He joined up with Rotherham in March 2013 and helped them also to promotion from League Two before agreeing a two year contract at the end of that season. He made 50 apperances during the 2013/14 season as Steve Evans side were promoted again, this time via the play-offs and began the current season as first choice left-back in the Championship before picking up an injury in November. Skarz joins Michael Appleton’s side until the end of the season. Right-back Richard Brindley has joined Oxford on a months loan with a view to a longer deal. The 21 year old joined The Millers from Chesterfield in 2013 and made 16 appearances as the club were promoted from League One. After struggling to break into the first team this season, Brindley spent time on loan at Scunthorpe United. Brindley began his career at Norwich City but never played a first team game before being released. It was at Chelmsford City where he impressed, making 24 appearances before Chesterfield came calling. Brindley will fill the void left by Joe Riley who hasn’t extended his loan at Oxford and has instead signed for Bury. Both players will be in the squad as United travel to Stevenage this weekend and could be joined by some other new faces as Michael Appleton seeks to wrap up a number of deals. Jack is a 23 year-old Economics graduate, working in the railway industry, writing about Oxford United and based in Hull. A pretty unique mix. Named 'Danny Fullbrook Sports Correspondent of the Year' in 2013/14 for his work for 'The Hullfire' which included writing from the press box at Hull City as well as other articles on Hull sport and University sports teams. Jack also writes for Oxford United fans site RageOnline.